Who pays for tax dodging? Last year billionaires’ wealth grew by €2.2billion/£1.9billion per day, while half the world’s population survived on just €5/£5 per day. In 2018, 43 people owned the same wealth as half the world – this year, 26 do. Our current global economy is rewarding those at the top - while hundreds of millions of people living in poverty are getting poorer. Last year, the 3.8 billion people who make up the poorest half of the world saw their wealth decline by 11 percent while billionaires’ fortunes rose by almost the same amount. Chhatiya and her family live on the $2 per day that her husband makes as a labourer. 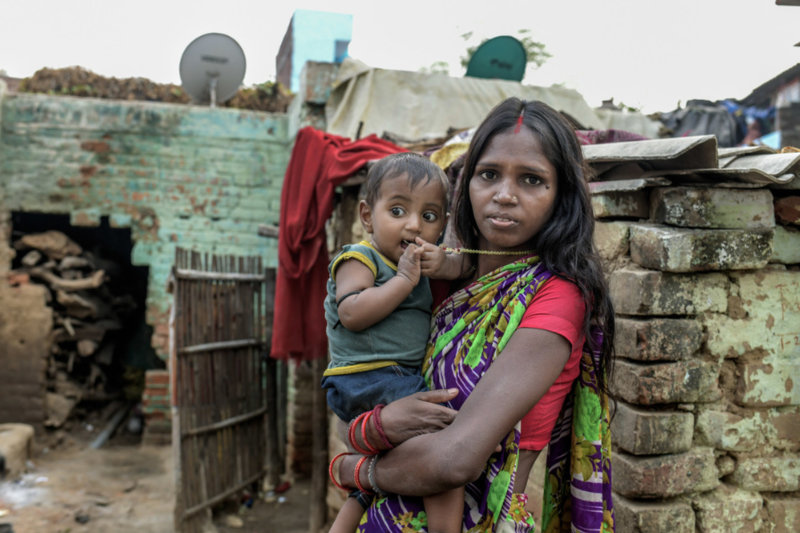 Due to a lack of services at her primary healthcare centre, when her fourth child, Raj Kumar, faced difficulties after birth, he was referred to a private clinic. Unable to pay the clinic’s fees, Chhatiya and her husband had to take out a loan - that they now struggle to pay back. Chhatiya’s story is not unique, every day those who cannot afford basic services, such as proper healthcare and education face life or death decisions. By tackling tax avoidance, governments can ensure more money is spent on providing public services that reduce inequality and enable people to thrive – and in many cases survive. It also means a better life for women and girls who are the most impacted by inequality and the lack of access to free, high-quality, humane public services it fuels. Inequality is keeping people trapped in poverty, so join us and let’s step up the fight against it. Together, we can fight inequality and beat poverty for good. By donating to our work worldwide, you’ll be helping people like Lan in Vietnam. Oxfam works with the Legal Aid Centre of Dong Nai province to improve the situation for workers. The centre provides legal counselling and support to workers, helps to protect workers’ rights through court cases, and provides training and information so that workers better understand their legal labour rights. It’s time we were all equal. Please consider donating to our work today and help us to Even it Up. This report details how the Irish corporate tax system continues to facilitate tax avoidance by the world’s biggest companies and how this negatively impacts on the poorest countries in the world. This easy-to-understand short paper outlines key measures Ireland should undertake to address corporate tax avoidance.